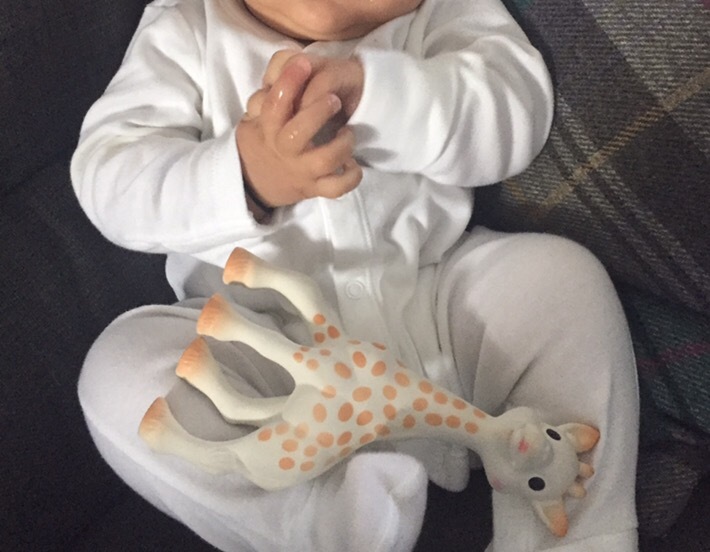 When teething strikes…..at 3 months! The drooling started around 10 weeks, but that was expected – lots of my friends babies had done the same thing. The start of the long process of teething! The symptoms were drooling, fingers (and everything else for that matter) in his mouth! But, one thing we didn’t expect straight away were actual teeth! Two weeks after the process started I thought I’d start applying Bonjella – he was getting quite aggravated by his gums whenever he was putting things into his mouth. So I applied it a few times a day to his top and bottom gums which were both quite hard. I also got Sophie out – the most popular gift given at baby showers during the past few years – every parent owns a Sophie! Slight problem being that at 12 weeks there was no hand / eye co-ordination 🙈 The result? Me sitting there holding it in place for the little man to get some relief! And then, a few days later I felt something sharp – no way – not a tooth surely?! He was too young! So off I went to search my good friend Google and found that teeth could come as early as 2 months! Welcome to 2 weeks of hell and 2 teeth! If your child has not yet cut any teeth – be prepared for the heartbreaking screams (think injections) and for giving lots of cuddles! Make sure you have Calpol on hand – it’s the only thing that gave him any relief! That and chewing on Sophie! 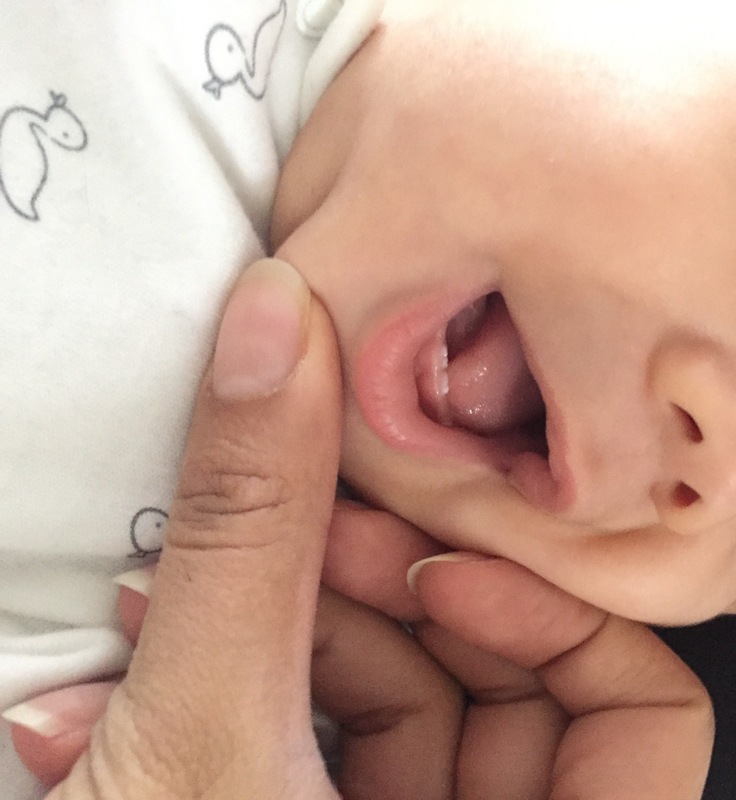 2 weeks later we are through the worst of it (for now) and have 2 bottom teeth – and yes I am exclusively breastfeeding – so far so good fingers crossed! 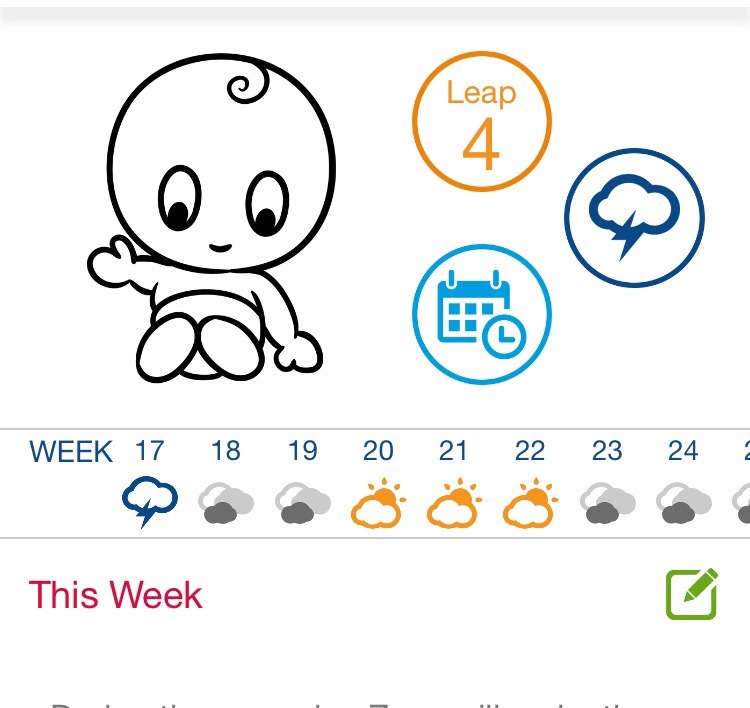 But teething + 4 month sleep regression + leap 4 = one very exhausted Mummy Setra!